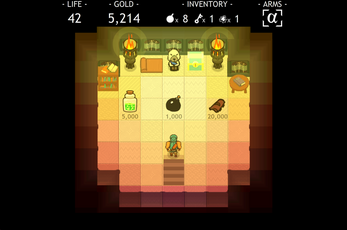 If you like Rogue-likes but are tired of things like inventory management and stats comparison but still want the depth and adventure, then here it is! All you need is WSAD* (*author's preferred control scheme, you can also use arrow keys or mouse). 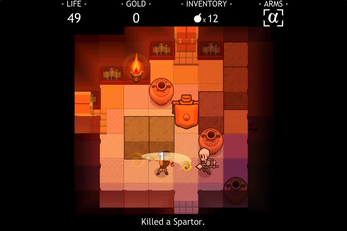 Asterius is a "smart" and true, but streamlined rogue-like dungeon crawler game, inspired by ASCI games, but made so each procedurally generated dungeon is winnable. 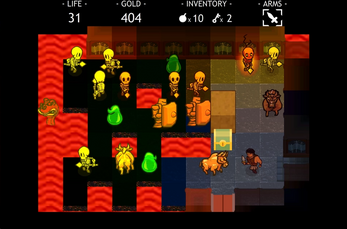 The game is carefully crafted to give each dungeon a hand-designed feel with the randomness of a rogue-like. The mechanics are easy to learn but take a long time to master. Please leave a comment. 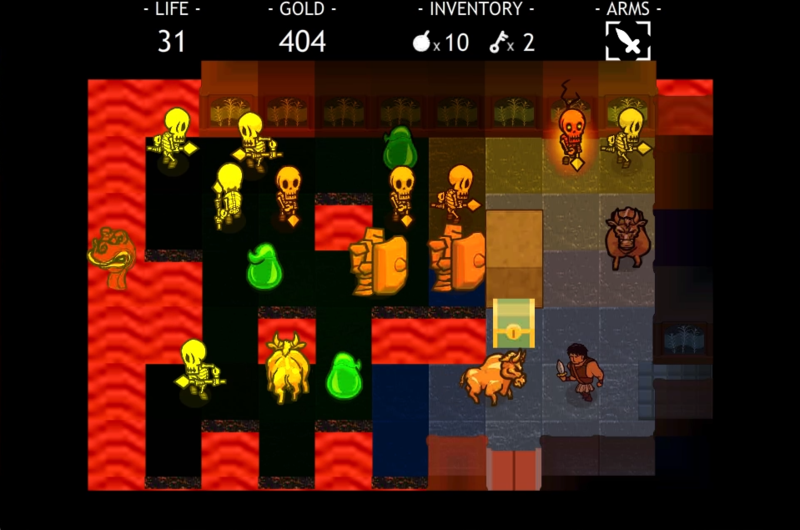 I'm open to feedback as the game is still in development! 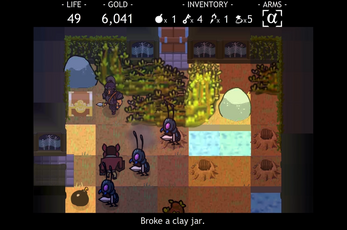 How developing an indie product differs from big studio products. How is this game not more known ? This is really really good. Great understanding of actual roguelike mechanics ( need to learn gods, monsters, traps and items of the world to survive longer) and with really interesting combat strategy. The randomness is already excellent, it s really fun to replay and the rooms havent felt repetitive yet after half a dozen attempts. I d just say a couple death seemed really unfair but maybe it is because i have not understood how to spot the danger yet? ( monster in water and tree push guy). Thanks for the encouraging words! I know there are more people who love the game, just not so vocal about it. It helps to get these messages for affirmation. I'm working every day to make this game better. In fact, the next update will make the game's performance much better! After that, I'll be improving some of the design and conveyed information so things like the tree pushing man won't seem so random (there's a chance the old men are evil). Thanks again for playing, I'm glad you're enjoying it! You're welcome, and yeah I ve encountered the info warning about old men now. Do they cause insta death ? I think if their trap only removed one hit point it would help a bit. Its a tricky thing to design because i like the concept of having to identify who is evil every run but at the same time gameplay wise the first runs of new players are gonna confusing and seem unfair. The other tricky part is your game punishes hard on backtracking with the poison system, so if you meet the old men before identifying them you re kinda screwed? 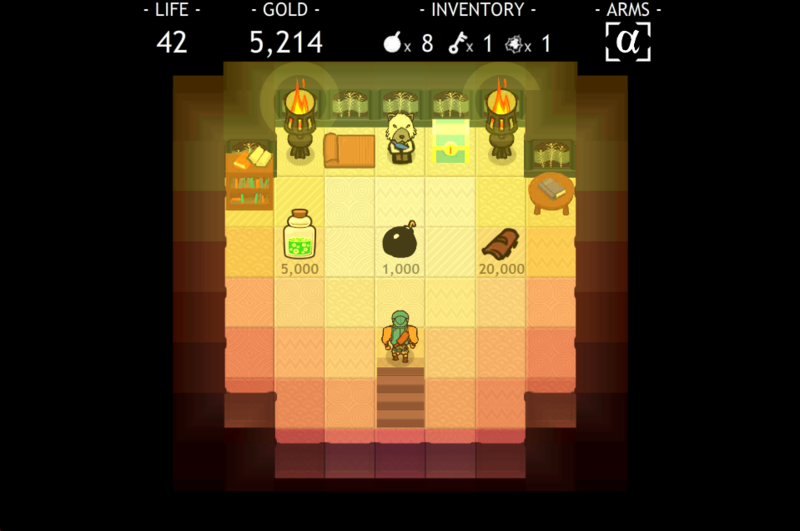 Excited for the performance increase, on my phone the game starts chugging like crazy after I explore 12+ rooms. Maybe too much data to remember? Yes, changes like those are the ones I've been planning--namely backtracking woes will be softened--thanks for the suggestions! The data is being managed fine, but the way Flash handles removing and loading textures causes the hiccups; more twextures, longer hiccup. That sort of lag should be reduced greatly in the next update, of which requires a lot of manual texture reworking, which is what's been taking the next update so long. Either way, other things not related to that should make it a bit better as well. Truth is, I started programming this game a loong time ago, and I'm learning more about how to write neater code, so I've been rewriting a lot of old stuff to speed things up. There's a priority list I'm going down, and my efforts are just now starting to show. Fingers crossed! This game is excellent. I don't have any complaints with it. Keep doing what you're doing and I can't wait for the full product. That's great and very encouraging. Thank you!